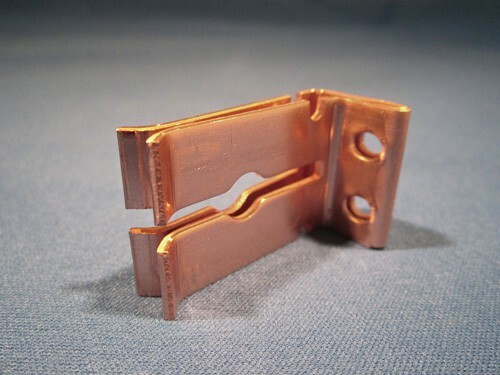 Plymouth Spring Company, Inc. was approached by a client to fill a yearly order of 20,000 to 40,000, fourslide stamped, beryllium copper mounting brackets. 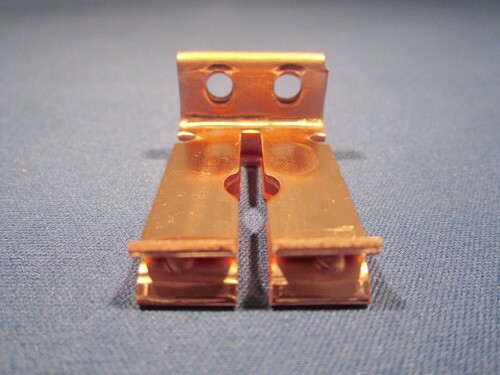 We began by fourslide stamping the 1.126″ long, .875″ wide, .622″ high and .029″ thick mounting brackets. 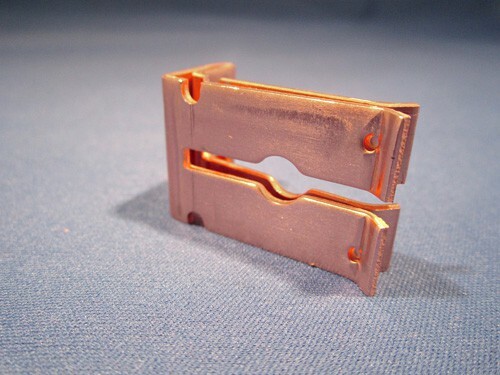 This unique process included punching, folding and cutting the beryllium copper with a single machine. We then heat treated and nickel plated the brackets. Throughout the entire process we held tightest tolerances of ±.005″. Each bracket was dimensionally inspected and then shipped. If you want to learn more about this fourslide stamping project, please see the details below. For information about the rest of our outstanding services, please contact Plymouth Spring.